Set in a much sought after location this four bedroom detached house makes for a perfect family home. 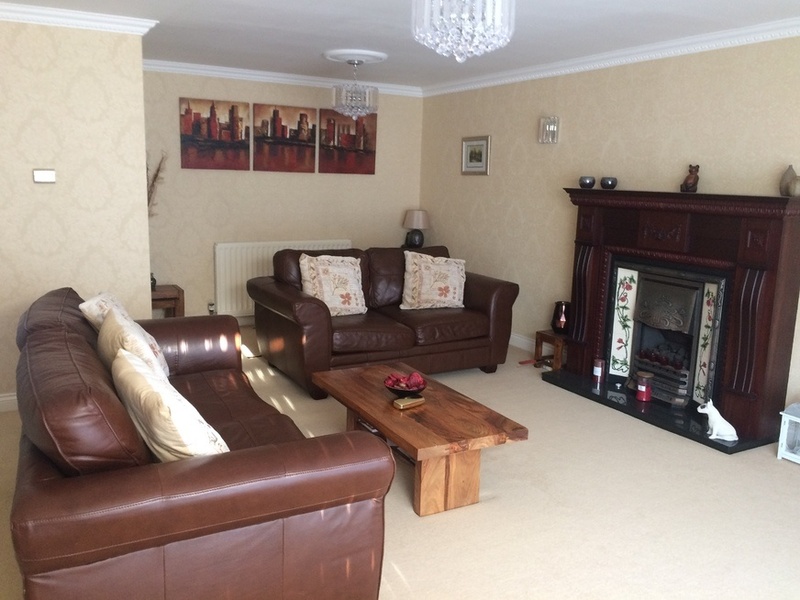 This versatile property comprises: central 'L' shaped entrance hall which gives access to all of the ground floor rooms, spacious formal lounge which overlooks the rear garden and has an impressive 'traditional' style fire surround and 'grate' style living flame gas fire. 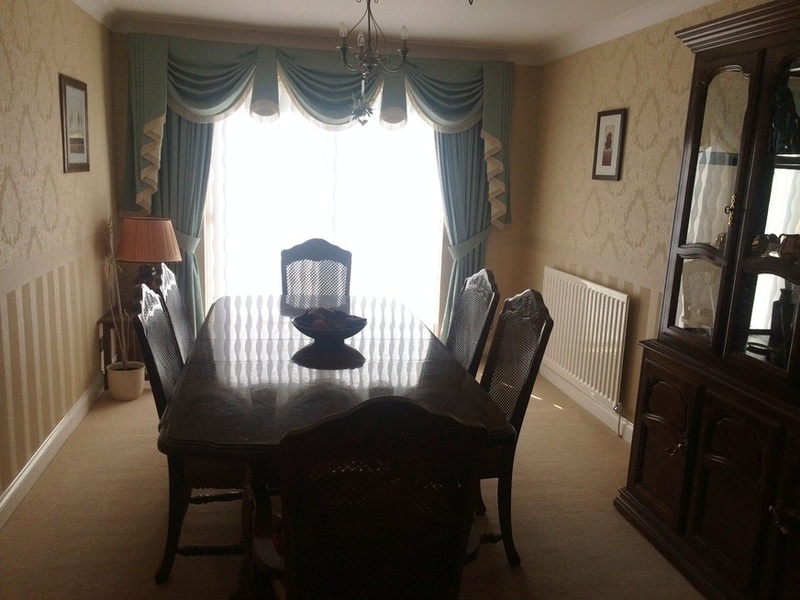 Located at the front of the property are two good sized reception rooms currently used as a large study and second sitting room. 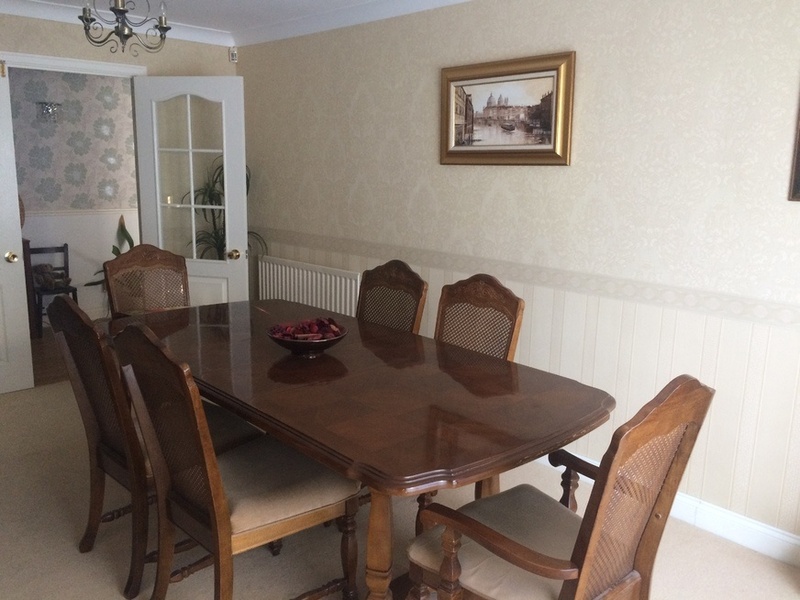 The dining room is located to the rear of the property. There is a cloakroom/WC on the ground floor. 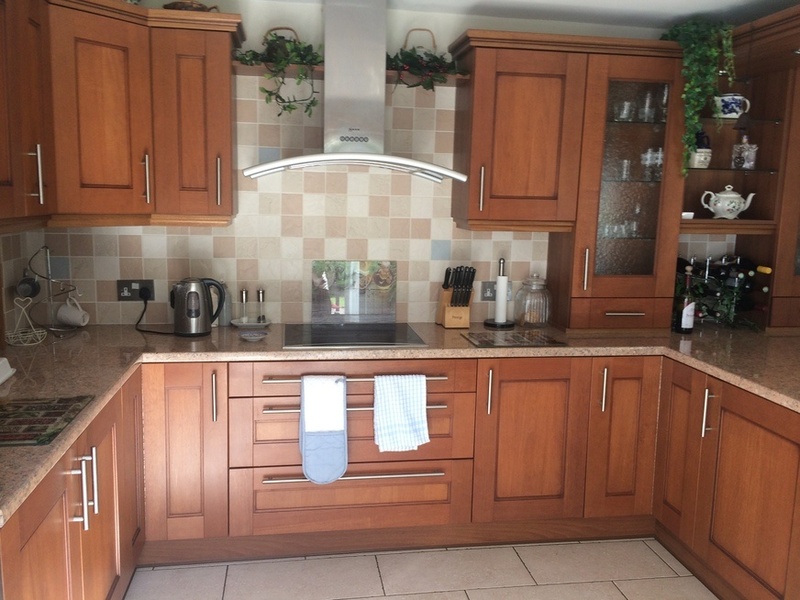 The fully fitted kitchen/breakfast includes built-in ceramic hob with extractor above, built-in fan assisted electric combination oven with an integrated microwave oven above, other integrated appliances include dishwasher, washing machine and tumble dryer. 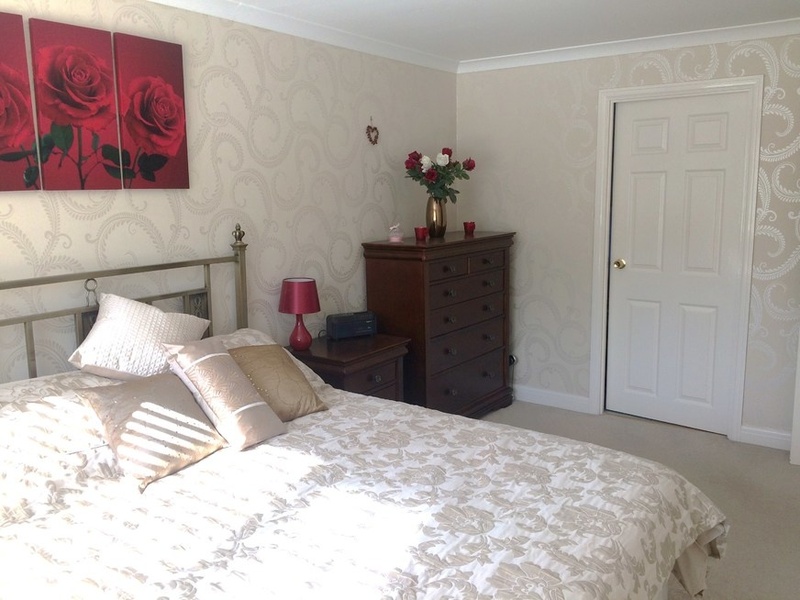 On the first floor, there are 4 double bedrooms, the master bedroom has built in wardrobe and a large en-suite which includes a bath and separate shower cubicle. Bedrooms two, three and four are served by the family bathroom/WC. Externally is a lawned garden to the front of the property with a double width driveway providing off street car parking for 4 cars that leads to the double garage. The generous sized rear garden enjoys a westerly aspect which is a sun trap in the summer months and provides a high degree of privacy. 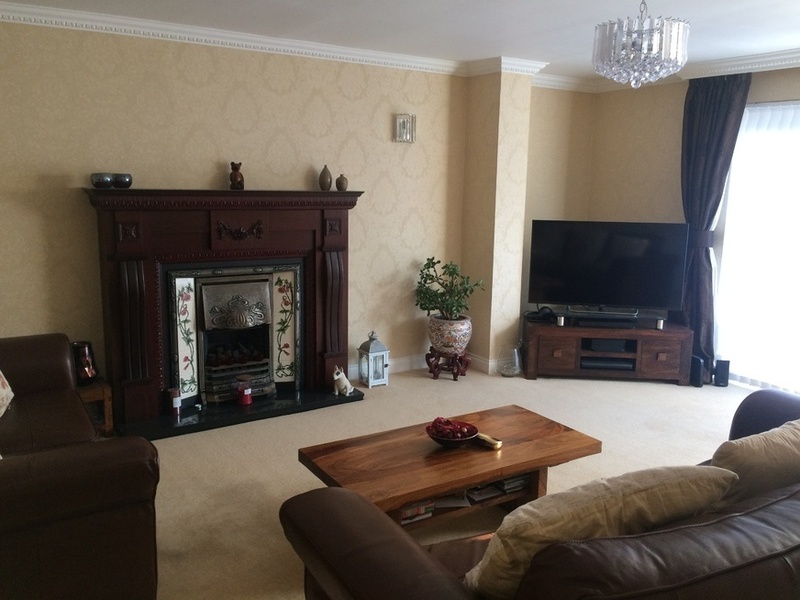 FORMAL LOUNGE: 22'x16'2 ( Traditional style fire surround with cast iron and tiled interior set on a granite hearth with a grate style living flame gas fire, two double radiators, ornate coving, two ceiling roses, uPVC double glazed tilt & slide patio door to rear garden. 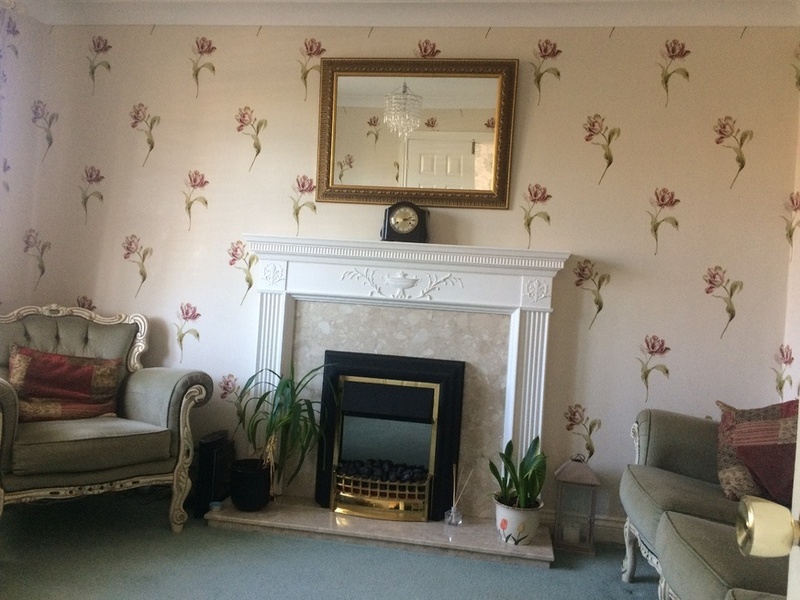 SECOND RECEPTION ROOM: 12'5x9'11 ( Has period style fire surround with conglomerate marble hearth and up-stand area, flicker flame electric fire, uPVC double glazed box style window, single radiator, coved ceiling, double opening doors to hall. LARGE STUDY: 12'3x9'11 ( uPVC double glazed box style window to front, single radiator, coved ceiling. 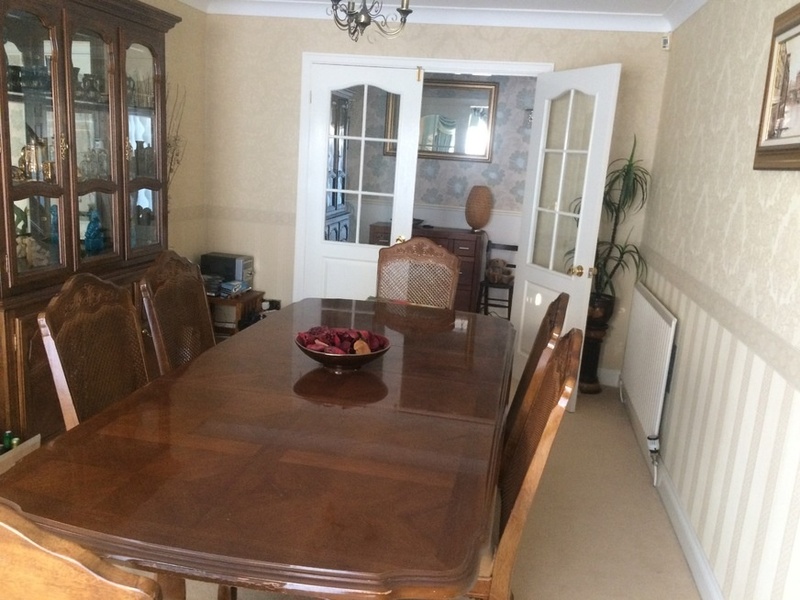 DINING ROOM: 16'6x9'11 ( Two single radiators, coved ceiling rose, part glazed double opening doors to hall, uPVC glazed tilt & slide patio door to rear garden. CLOAKROOM/WC: Two piece white suite comprising: vanity style sink unit with mixer tap and white storage cupboard below, close coupled WC, attractive tiling to par walls, tiling to floor, uPVC double glazed opaque window, white heated towel radiator, coved ceiling, hatch to loft space. KITCHEN/BREAKFAST ROOM: 11'6x16' ( Fitted with quality range of base, wall and drawer units with marble effect working surfaces incorporating inset single drainer stainless steel sink unit with mixer tap, built-in ceramic hob with three large drawer unit below, pelmet above with spotlights, stainless steel chimney style canopy housing extractor fan above, built-in fan assisted electric combination oven with integrated microwave oven above, integrated dishwasher, American style fridge, washing machine and tumble dryer, uPVC double glazed french doors to rear garden. 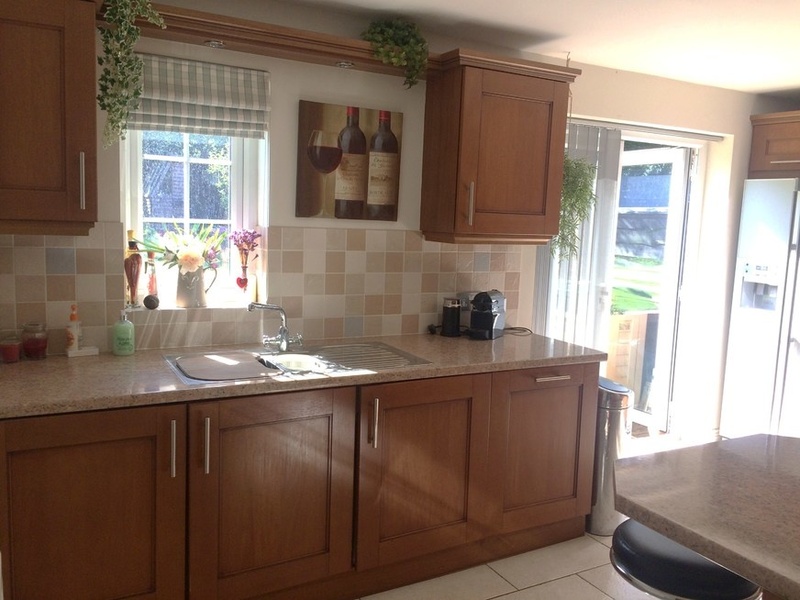 FIRST FLOOR LANDING: Built-in airing cupboard with double opening doors housing hot water cylinder and fitted shelves, single radiator, hatch to loft accessed via a pull down ladder. BEDROOM 1 (rear): 15'x9'11 ( Built-in large double wardrobe, uPVC double glazed window , single radiator, coved ceiling. LARGE EN-SUITE BATHROOM/WC: 5'5x9'6 ( Four piece modern white suite comprising corner shower cubicle , separate bath, large vanity style sink unit with white storage cupboard and drawers below, closed coupled WC, fully tiled, heated towel rail, shaver point, uPVC double glazed opaque window. BEDROOM 2 (front): 9'2x16'2 ( Two uPVC double glazed windows, laminate flooring, convector radiator, coved ceiling. BEDROOM 3 (rear): 9'1x12'3 ( Large built-in double wardrobe, uPVC double glazed window, single radiator, laminate flooring, coved ceiling. 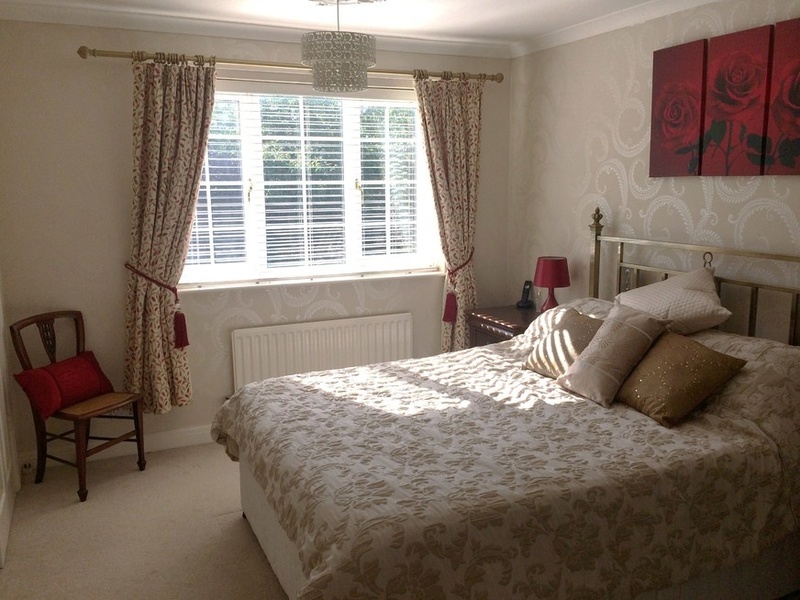 BEDROOM 4 (front): 11'6x10'2 ( uPVC double glazed window, single radiator, coved ceiling. Outside the property occupies a very generous sized plot. The front garden is open plan and laid mainly to lawn. A double width block paved driveway provides off street parking for 4 cars and leads to the double garage. 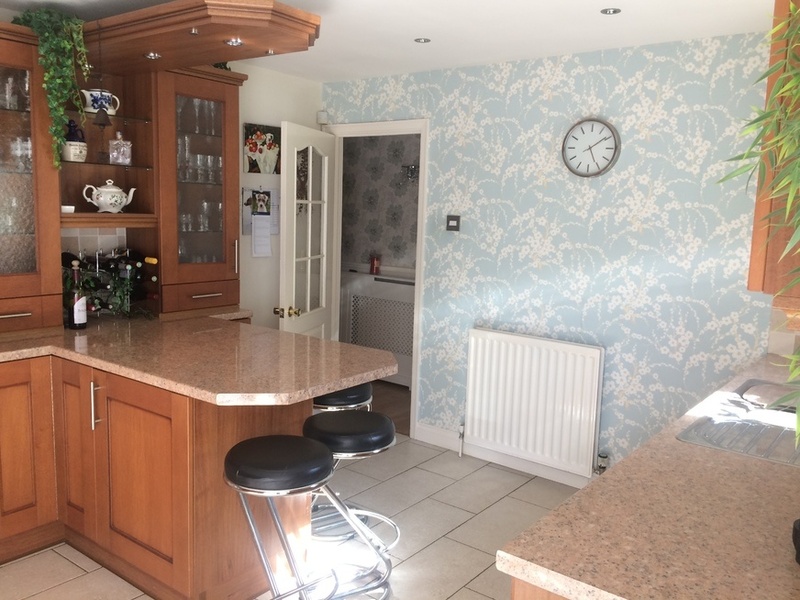 The generous sized rear garden has a large paved patio which leads to a large lawned area which has flower borders containing a variety of shrubs and flora, cast iron style electric lights, garden tap, gated access to side. 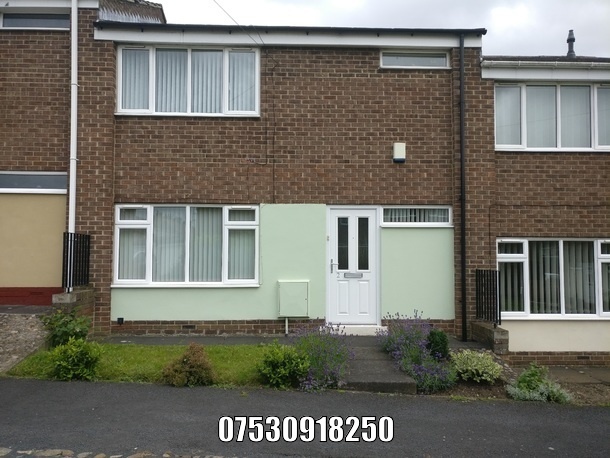 ATTACHED DOUBLE GARAGE: 17'2x16'8 ( With remote controlled double width up and over door, laminate flooring, wall mounted gas fired Baxi central heating boiler, hatch to a boarded loft area, power points, personal door to hall. 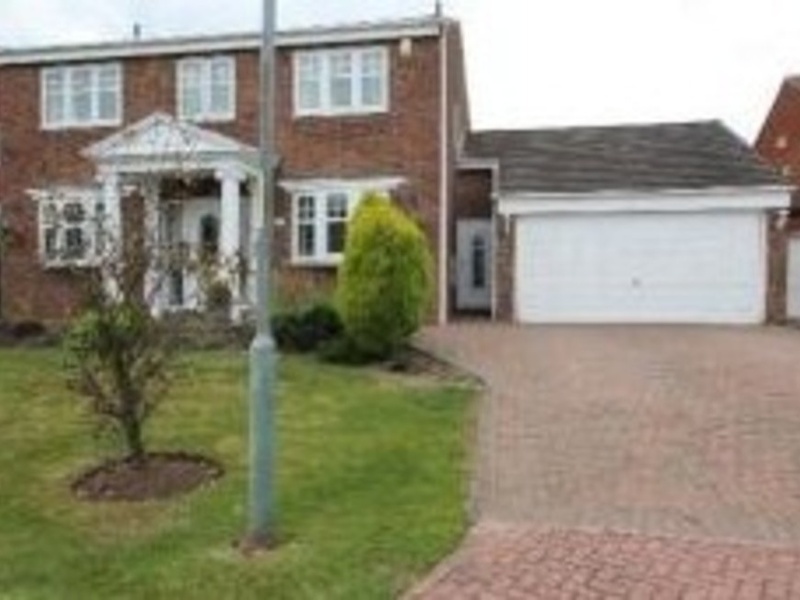 I'm interested in 4 bedroom detached house Hillston Close, Hartlepool.